Australian National University physicists have invented a tiny device that creates the highest quality holographic images ever achieved, opening the door to imaging technologies seen in science fiction movies such as Star Wars. Lead researcher Lei Wang said the team created complex holographic images in infrared with the invention, which could be developed with industry. "As a child, I learned about the concept of holographic imaging from the Star Wars movies. It's really cool to be working on an invention that uses the principles of holography depicted in those movies," said Wang, a PhD student at the ANU Research School of Physics and Engineering (RSPE). Holograms perform the most complex manipulations of light. They enable the storing and reproduction of all information carried by light in three dimensions. In contrast, standard photographs and computer monitors capture and display only a portion of two dimensional information. "While research in holography plays an important role in the development of futuristic displays and augmented reality devices, today we are working on many other applications such as ultra-thin and light-weight optical devices for cameras and satellites," Wang said. Wang said the device could replace bulky components to miniaturise cameras and save costs in astronomical missions by reducing the size and weight of optical systems on spacecraft. Co-lead researcher Dr Sergey Kruk said the device consisted of millions of tiny silicon pillars, each up to 500 times thinner than a human hair. "This new material is transparent, which means it loses minimal energy from the light, and it also does complex manipulations with light," said Dr Kruk from the ANU RSPE. "Our ability to structure materials at the nanoscale allows the device to achieve new optical properties that go beyond the properties of natural materials. The holograms that we made demonstrate the strong potential of this technology to be used in a range of applications." Dr Kruk said ANU led the design, fabrication and optical testing of the device. Part of the research was conducted in collaboration with the Oak Ridge National Laboratory in the US and Nanjing University in China. 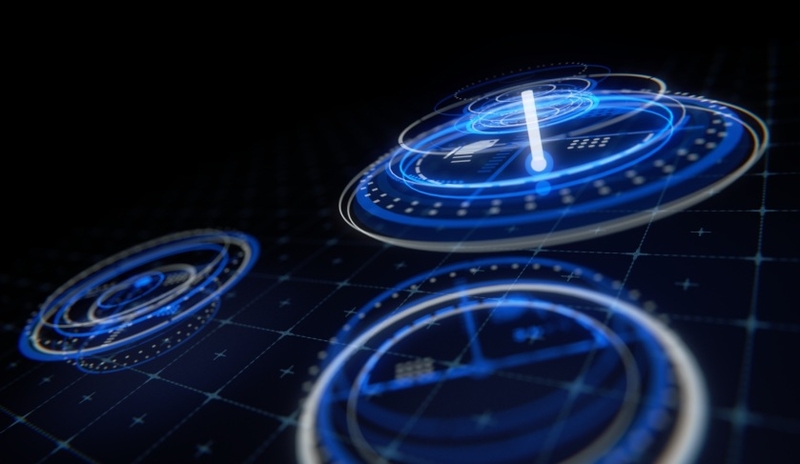 Due to the lightweight equipment used to produce the holograms and the types of communication options they open up to end users, the program will no doubt attract interest from the Australian Department of Defence.